Information is going to come to light after you’ve made the decision. The hindsight bias will make you think you could have predicted the outcome using the information you had available at the time of making the decision. This is a fallacy. Don’t evaluate the quality of your decisions based on the outcomes. Evaluate the quality of your decisions based on the process you undertook to make them. Encountering problems isn’t an indicator of a poor choice. Big decisions are not big decisions. They are a series of tiny decisions made over a period of time. Our biggest decisions often push us out of our comfort zones and this can make us fearful so we end up failing to take the necessary actions to make the decision work. We then mistakenly think we’ve made a poor choice when in fact we’ve taken poor quality actions. In Episode 12, we’ll explore how our decisions – and the actions we take afterwards – are affected when primed by fear. Bad decisions and bad outcomes are not the same thing. The hindsight bias causes us to re-evaluate the information we had available at the time of making the decision and re-shape it using our knowledge of the outcome. We mistakenly think information was “obvious” and that we failed to interpret it correctly. This is rarely the case. At the time of making the decision, multiple outcomes were possible and we had to make the choice on this basis. One an outcome has emerged, there is no longer any doubt. These were not the conditions under which you made the choice. It is better to evaluate the quality of your decision based on the quality of the process you followed than it is to evaluate based on the outcome. Even when things go perfectly, you’re going to encounter problems. In fact they’re often the first sign that things are going exactly as they should. Even winning the lottery has its downsides! When weighing up your options, consider the problems you’ll face, even if everything goes perfectly. Use a “yes if” approach when considering the problems. “Yes, I can do that if I do…” This is more powerful than “No, because”, which ultimately shuts off your options without considering whether or not there’s a way you could make them work. This one fits in quite well with 1. 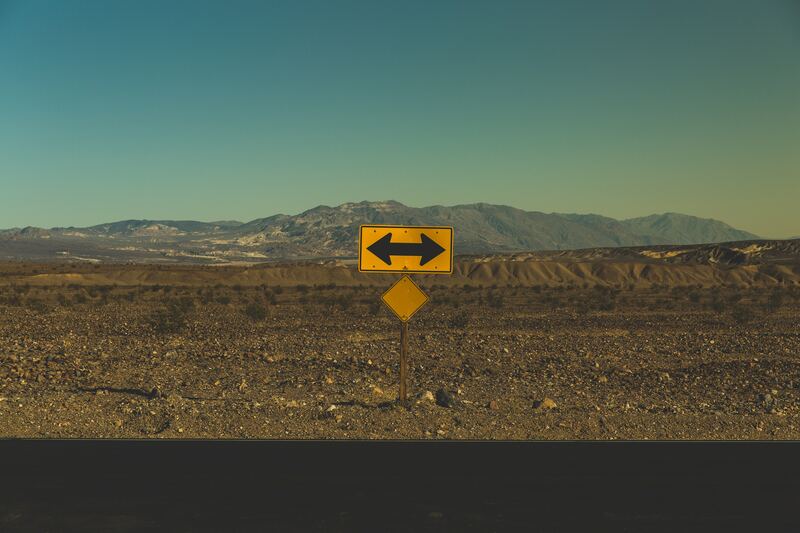 Many of us agonise over the big decisions we have to make without realising how many dozens or even hundreds of smaller decisions go into the situation that led to the big decision – or how many more decisions will be made afterwards, determining the outcome of the decision. For example, Matthew is 29 and hates his office job. He wants to work somewhere funky like a gaming company or Google but he has never studied IT and isn’t up to speed with latest technologies. He goes to work every day, comes home every evening, has dinner and possibly goes out with friends. Every day, without necessarily realising it, he is making tiny decisions to keep himself in the same place. Once he starts thinking about all the tiny decisions he makes each day about how he spends his time, he is in a position to make decisions that will eventually lead him to a place where he has a big decision to make about where he wants to work. The opportunity to make the big decision is unlikely to present itself until he changes his everyday decisions to start moving in that direction. Previous PostPrevious Decisions and Actions – How are you Motivated? Aileen muilwijk on Where do beliefs come from? Big Happy Life on We know what to do so why don’t we do it? Dr Vanessa Dias, the Wellbeing Blogger on We know what to do so why don’t we do it?